Mid-20th century British illustrator Ronald Lampitt had a predilection for maps. 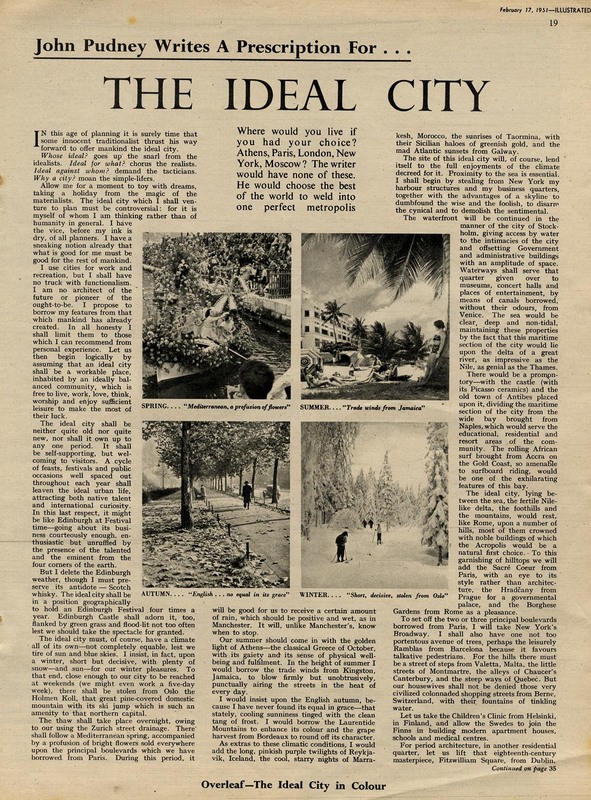 It probably was no coincidence that he got to draw, in the Illustrated Magazine of 17 February 1951, the proposal of John Sleigh Pudney for an ideal city. That nameless city under Lampitts brushstrokes becomes a spacious, undulating seaside paradise of a place, populated with monuments that look vaguely familiar. 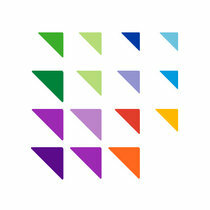 Which is because they are; they’re architectural icons from all over the world – the western world, that is. 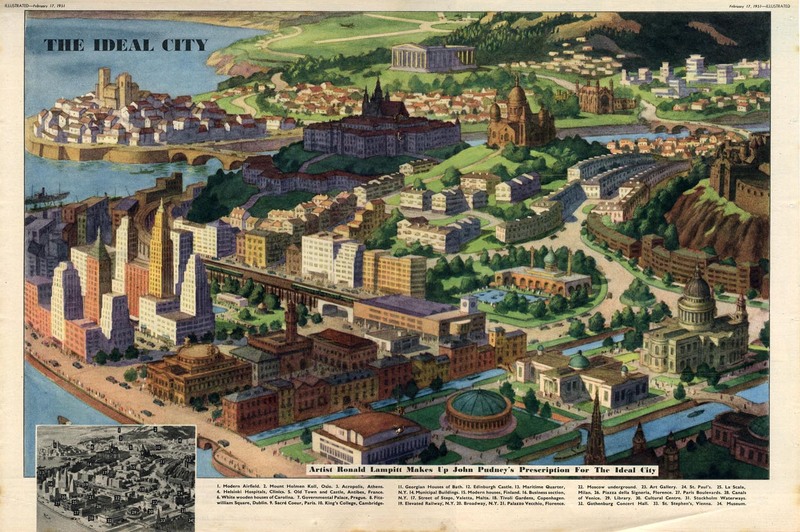 And yet, this ideal city looks suspiciously sterile: no rubbish tips, no shantytowns, no shopping malls, no advertising… Here follows a list of buildings referenced at the bottom of the map. The map was found here, in the intriguingly idiosyncratic graphic collection at fulltable.com. Pudney’s article is here.